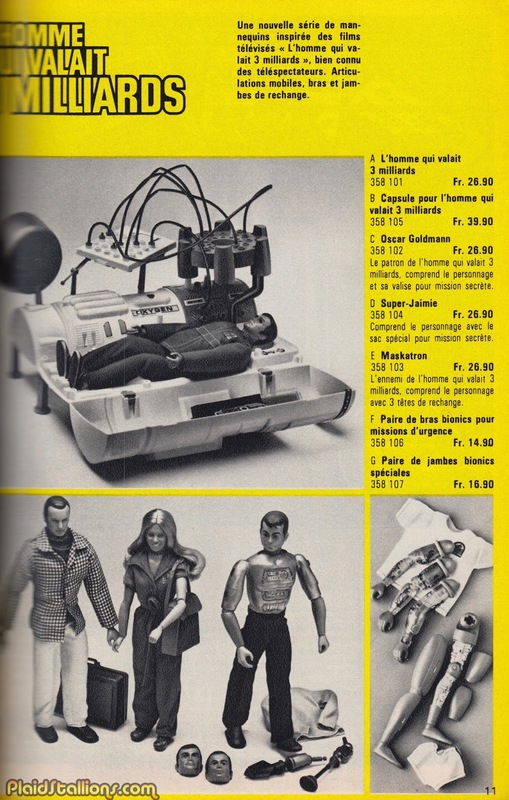 Steve Austin and his crew were truly an international hit as evidenced by this wonderful catalog page from France. I love how Jaimie is now "Super Jaimie" but Maskatron? That's multilingual baby! I do like the idea of Super-Jaimie, though. I had everything there except for Jaime.